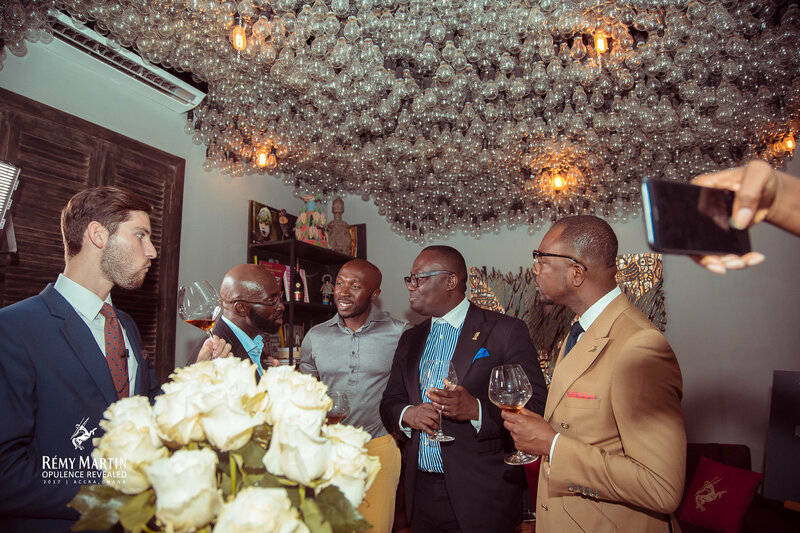 Rémy Martin hosted Opulence Revealed, a ground-breaking, multi-sensory and interactive tasting experience in Accra, Ghana. Ghanaian trade partners, key media leaders and cultural influencers including Bola Ray, fashion designer Brommon, radio personalities KOD, Official Kwame (YFM) and Kofi Laing (JoyFM), entertainment blogger Ameyaw Debrah, and singer Irene Logan were among the guests who attended Rémy Martin’s Opulence Revealed cognac tasting. In addition to nosing and tasting the exceptional flavours of two iconic Rémy Martin cognacs, Rémy Martin VSOP and Rémy Martin XO, Opulence Revealed guests paired the spirits with a selection 25 exotic elements displayed on the central table. The Opulence Revealed table sourced by chef Selassie Atadika of Midunuu catering, highlighted items designed to stimulate the senses with a complexity of aromas, flavours and tastes including white roses and jasmine flowers, fruits such as plums, peaches, pears, figs and dried apricots, almonds, walnuts and hazelnuts, and spices featuring cinnamon, vanilla, saffron, and fresh ginger. Throughout the session, Rémy Martin Brand Ambassador, Mickael Bonnamy, detailed the history of Rémy Martin, and the ways to enhance the cognac experience, pairing with meals, desert, chocolate, and select cocktails. “With Opulence Revealed, our goal is to inspire a new generation of cognac enthusiasts through education, engagement and personal discovery. Our evening in Accra was enlightening and allowed our guests an opportunity to experience the unique style of the House of Rémy Martin,” says Alvin Saal,Rémy Martin’s Marketing Manager for the Africa & Indian Ocean region.